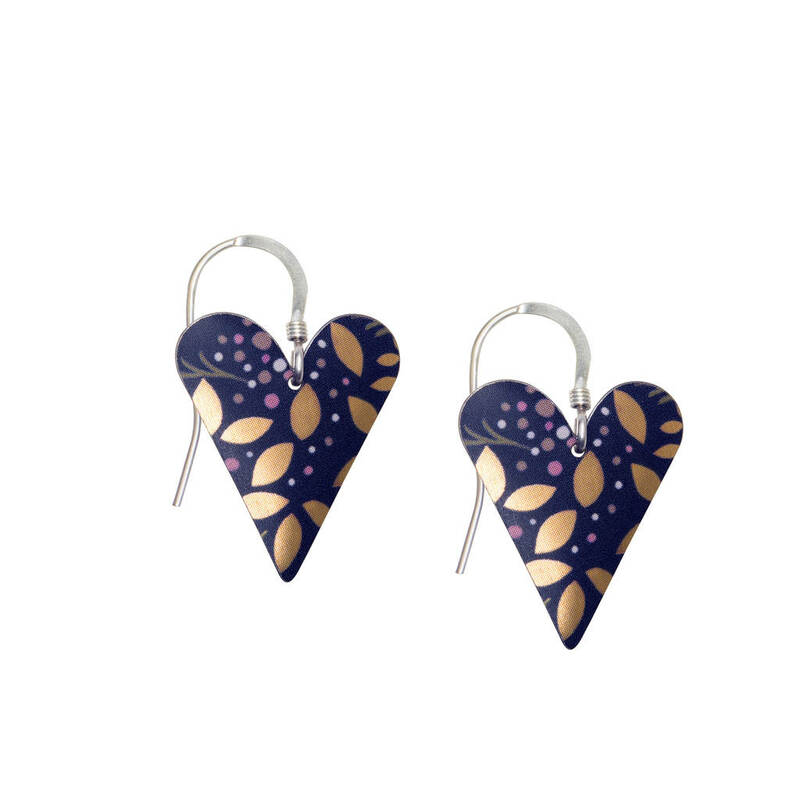 Simple, elegant slim heart earrings in our Purple Blue Kyoto Garden print with highlights of gold, pink and ivory blossom. In matt blue black with highlights of pink, ivory and gold the earrings are lightweight and easy to wear throughout the day into evening, a stunning piece to add to your collection. Kyoto Garden is where exotic birds and butterflies fly among blossom laden branches. The gold highlights in the print evocative of delicate Satsuma vases. On short sterling silver earwires. Supplied with gift packaging. Designed and made in our workshop in Wales. Showcasing beautiful workmanship our jewellery is cut, domed and finished by hand. Each piece unique. A perfect keepsake gift for Mother's Day, birthday or anniversary or a treat to add to your Spring Summer wardrobe. Hand made in the UK from printed tins on sterling silver earwires designs may vary slightly from photograph as each piece is unique.